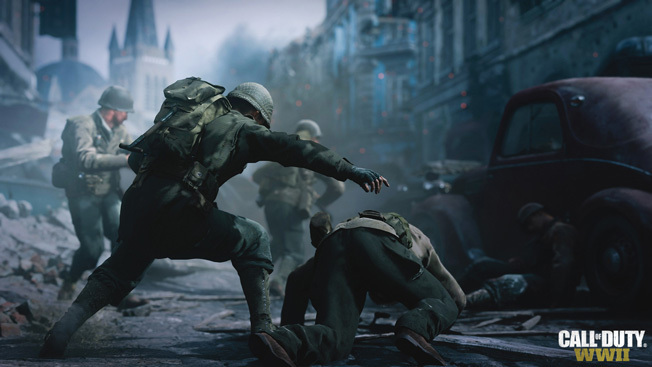 Call of Duty returns to its World War II roots. Some new game features by Sledgehammer Games are keeping the new look at an old genre fresh. Even with the added bonus of fan-favorite and critical darling Call of Duty 4: Modern Warfare in the mix, it’s no secret that the last entry, Infinite Warfare, had some trouble attracting players. Whether that came down to the Infinity Ward’s work on it or general audience exhaustion—particularly for the increasingly futuristic development of the series’ setting—it warranted a reset of sorts. And what better way to reset Call of Duty than to bring it back to where it all began: World War II. 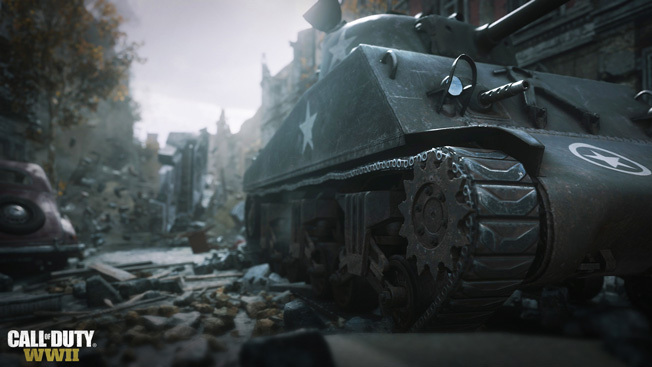 The fact that WWII seems like a novel setting for Call of Duty at this point says a lot about the industry as a whole, at least in terms of console gaming. The PC world has seen a steady stream of WWII content over the years, but it’s pretty rare on other platforms. Developed by Sledgehammer Games (Call of Duty: Modern Warfare 3, Call of Duty: Advanced Warfare) and due out on November 3, 2017, Call of Duty: WWII is looking to mix things up in some potentially cool ways. Even more information will be available by the time this issue hits the stands, but at the moment we know a few interesting tidbits, particularly in regard to Call of Duty: WWII’s overall difficulty. 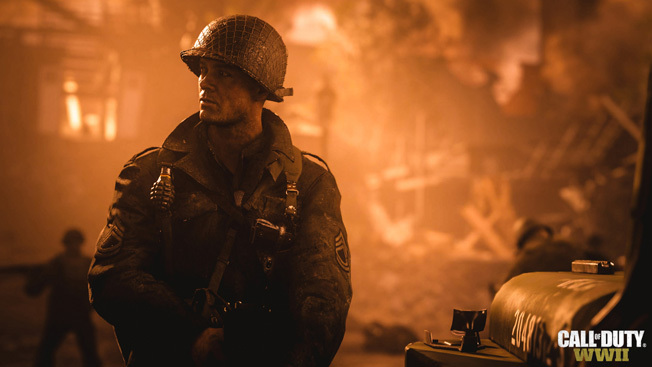 Sledgehammer co-founder Glen Schofield explained some of the changes to Polygon, emphasizing the fact that players won’t be the “superheroes” they normally are in war games. Every bullet comes with a cost, which is further illustrated by the lack of regenerating health. Yep, this time around you’ll need to depend on squadmates for medical assistance, and even ammunition, while on the battlefield. It’s not just about being “hard,” it’s about highlighting the vulnerability of these soldiers and showing how substantial their sacrifices truly were. Story will play a major role, as usual, with this narrative following an Allied squad in the European Theater from 1944 to 1945. Multiplayer is also a big deal, and the first major video reveal for that is right around the corner at the time of this writing. 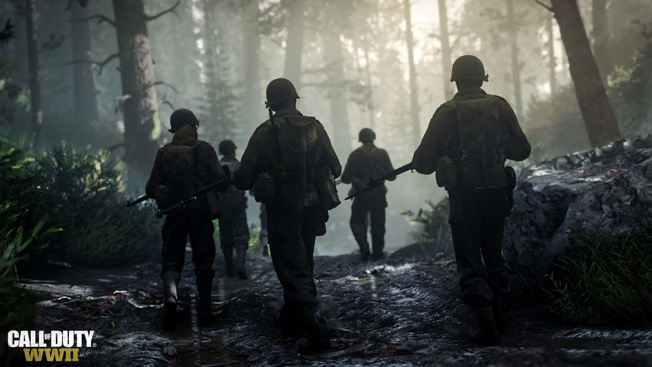 It’s impossible to predict how Sledgehammer’s return to WWII will play out, but as of right now it all looks like a pretty refreshing direction for Call of Duty. Tags Activision, call of duty, Call of Duty: WWII, first-person shooter, PC, PS4, Sledgehammer, xbox one.